The United Methodist Hymnal, No. 244. This is probably the earliest Christmas carol composed in North America. “‘Twas in the moon of wintertime” is a collaborative work between a 17th-century French Jesuit missionary to the Huron Indians and a 20th-century Canadian newspaper correspondent in Quebec. Jean de Brébeuf (1593-1649) was born in the Normandy region of France. He entered the Society of Jesus in 1617 and arrived in Quebec in 1625. Overcoming many obstacles, he spent the first long winter in a wigwam and set out in spring by canoe to Lake Huron, where he was left to minister alone after a fellow priest was recalled. His early efforts in evangelism were unsuccessful. Life was also complicated because the English and French were at war over this region, with the territory changing hands twice. He was forced to return to France in 1629, and then returned when the French again gained the upper hand in 1633. He set out again for the Huron region with a fellow priest, and lived and worked among the Indians for 16 years. Brébeuf suffered hardships unimaginable to most present-day missionaries. In 1642, he was caught up in a war between the Iroquois and Huron tribes. Two fellow missionaries had been captured and killed. Brébeuf was sent to the region to attempt further contact with the Huron people. Though the Iroquois had made peace with the French, they continued to fight the Huron tribe. Between 1644 and 1647, Brébeuf’s ministry among the Huron people saw thousands baptized and following the way of the black-robed priests. But the war with the Iroquois intensified. Being French, he could have escaped, but chose to remain with the Huron people. Brébeuf was captured by the Iroquois on March 16, 1649. The original Huron carol was written around 1643. 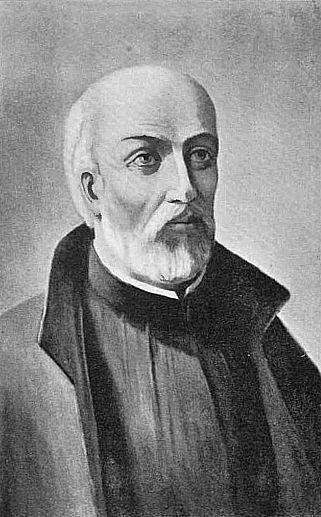 Over 150 years later in 1794, Father de Villeneuve, also a Jesuit missionary, wrote down the words to “Jesous Ahatonhia” as he heard them. Paul Picard, an Indian notary, translated them into French and they first appeared in written form in Ernest Myrand’s Noel Anciens de la Nouvelle France (1899). Collaborator Jesse Edgar Middleton (1872-1960) was a reporter for the Montreal Herald and later The Mail and Empire in Toronto. His interest in Ontario history led him to the story of Jean de Brébeuf. Carlton Young, editor of the UM Hymnal, notes that “Middleton’s poem extends beyond the original French [translation] and tells the story of Jesus’ birth into Huron everyday life and its retelling in their folk symbols, such as ‘rabbit skin’ for ‘swaddling clothes’ and ‘gifts of fox and beaver pelt’ for the Magi’s present.” Middleton’s version maintains the Algonquian name for God, Gitchi Manitou. The carol comes to us by way of the Canadian Anglican Church’s Hymn Book (1938), edited by the famous 20th-century Canadian composer Healey Willan. Walter Ehret brought the carol to public schools and churches in the U.S. with The International Book of Christmas Carols (1936). In whatever form we receive the carol, it is an artifact of a missionary who through incomprehensible hardships and danger spread the gospel to the Huron people. Brébeuf’s martyrdom with a fellow Jesuit in 1649, too gruesome to describe here, was recognized by the Catholic Church when he was canonized on June 29, 1930, by Pope Pius XI. The humble Jesuit priest to New France is now the patron saint of Canada.